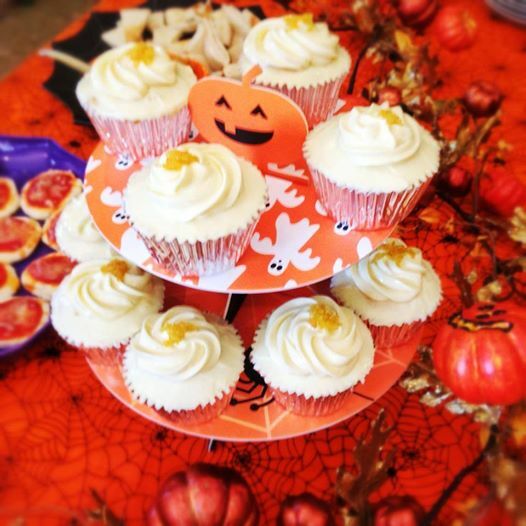 Lemon cupcakes with lemon curd filling, cream cheese frosting and candied lemon peel topper for Halloween play date brunch, at this time of the year I do miss Autumn! This entry was posted in Cupcakes, note from the baker and tagged autumn, candied lemon peel, cream cheese frosting, Gift Ideas, halloween, lemon cupcake, Lemon cupcakes, lemon curd, lemon curd filling, Manila, party food. Bookmark the permalink.